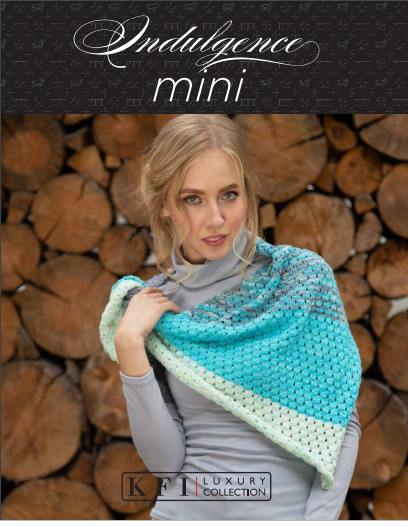 This beautiful kit includes 4 skeins of Knitting Forever Inc (KFI) Indulgence Sock yarn and the pattern to make the shawl featured. 44 in (112 cm) in length. 1 pair of US 6 (4 mm) knitting needles. US 6 (4 mm) needles.